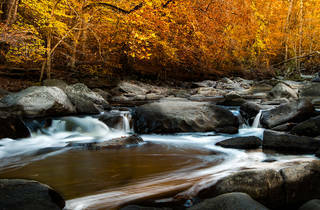 Nestled between sprawling condo corridors and busy commercial strips lie 1,750 acres of forest called Rock Creek Park. 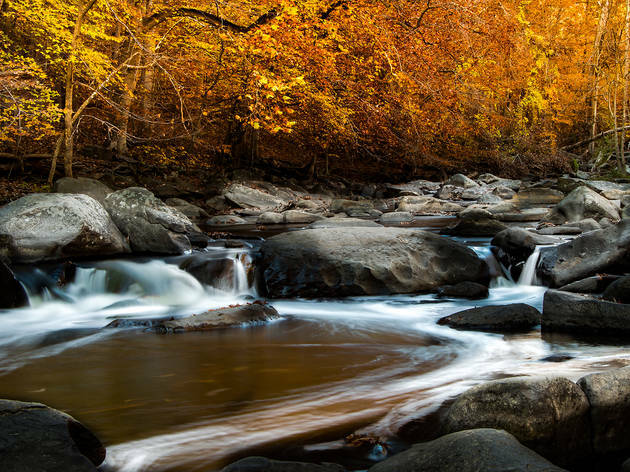 One of the largest preserves in the nation, its 29 miles of hiking trails and ten miles of bridle paths intersect a net of bicycle paths. At weekends, several park roads close to motor vehicles. Its central thoroughfare, Beach Drive, a major commuter cut-through during weekday rush hour, is a quiet route to picnic groves (some with barbecue facilities) and playing fields at other times. The Nature Center just off Military Road details its history and ecology, offering daily nature walks and similar events. The planetarium offers free star-gazing sessions from April to November. The District’s only public riding stable, sharing the Nature Center parking lot, offers guided trail rides through the hilly terrain.